2 Comments to "Merry Christmas 2013!" 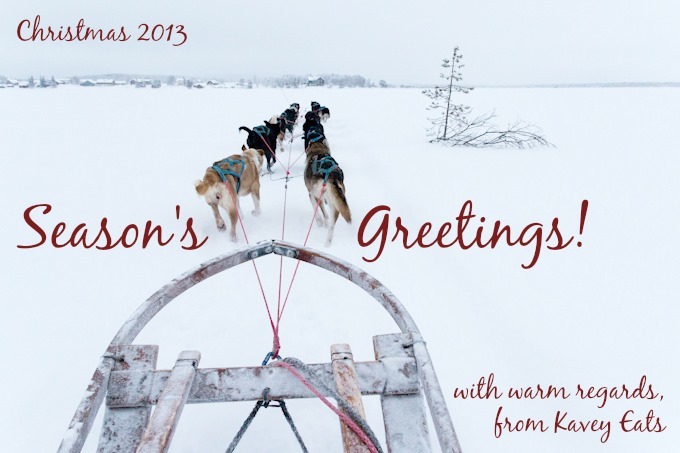 Happy Christmas, Kavey, darling, and thank you for a wonderful 2013, filled with yummy foods and wonderful drink! (Well, Pete helped enormously with the latter, I know.) Looking forward to reading all you have in store for us in 2014. Thank you for reading, Bookie!